It’s no secret at this point that marijuana and especially the use of vaporizers is great for all sorts of illnesses. Use of a portable vaporizer has been proven to relieve stress and to help those undergoing chemotherapy deal with their pain and nausea. The literature and scientific studies that have shown the positive effects of marijuana use in treatment are vast and being added to all the time. But what is not as widely discussed, however, are the benefits that marijuana can offer before anything detrimental can even happen to you. The cannabinoids present in marijuana plants can do more than what was first realized. With studies conducted all the time and new theories proven correct what we will be able to achieve with marijuana in future is as yet untapped. 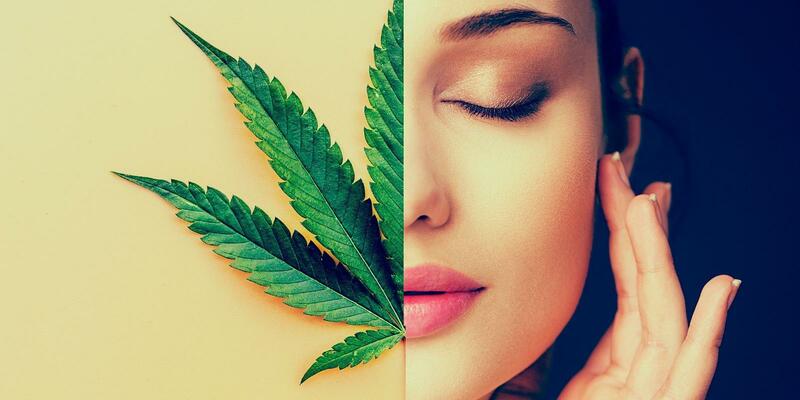 Whether it’s regular marijuana strains or non-high inducing CBD let’s look at seven ways marijuana could help you that you might not have considered before. The anti-inflammatory properties of marijuana are perhaps the biggest benefit as we shall see further on. With more athletes than ever before using CBD oil to combat the inflammation of their muscles and joints, it’s probably no great leap to see that a portable vaporizer can benefit even the everyday person in preventing their own physical pains. Inflammation of the joints and tissues can occur due to a number of chronic diseases such as Crohn’s disease, arthritis, ulcerative colitis and others. You might be aware that inflammation can be avoided by maintaining a good diet and exercising regularly but what you might not know is that cannabis is effective in preventing you from ever becoming inflamed in the first place. Both THC and CBD are extremely effective in reducing the inflammation associated with a number of diseases. Throughout the body, there are cannabinoid receptors. The stimulation of these receptors by the presence of THC causes wonderfully positive things to happen. There are some of these receptors naturally found in our digestive tracts, too. One such receptor, anandamide, is responsible for the process of digestion within the body. Small wonder then why people get the munchies. For those enduring pain due to stomach issues and poor digestion function, using something as convenient as a portable vaporizer may be the answer. There are many studies now to show that the anti-inflammatory properties of THC can be helpful in the treatment of IBS, IBD, and Crohn’s disease especially via the use of vaporizers like the Crafty and the Arizer Extreme Q. For obvious reasons strictly controlled clinical human trials using marijuana and its derivatives in marijuana vaporizers have been few and far between. But what we do know is that low doses of tetrahydrocannabinol act to relax and widen blood vessels. This is known as vasorelaxation which is as positive as it sounds. With widened blood vessels the strain of high blood pressure can be greatly reduced. It’s the reason you often see marijuana users with reddened and dilated eyes. This same effect could be used to help anyone in a family with previous heart disease. The THC in marijuana can slow or even stop the increasing the progress of Alzheimer’s disease. This is because the presence of THC through marijuana intake can slow the production of beta-amyloid proteins in the brain. These proteins are a classic feature of Alzheimer’s and are thought to be a key contributor to the development of the disease. This is because these beta-amyloid proteins clump together to form a hard insoluble plaque. A study done at the University of South Florida went a long to explaining how THC acts to protect the brain, lessening and even halting the growth of these proteins. Just the way we live our lives can place a huge amount of strain on our bones. In the course of ordinary life people can suffer fractures just because of an unseen pothole. But diseases like osteoporosis weaken bones significantly, leaving them vulnerable to fractures and even breakages. Also conditions like osteoarthritis cause severe pain and achiness in joints with few treatments or cures. The good news is that marijuana can help. CB1 receptors found in bones, and elsewhere in the body, respond positively to the introduction of marijuana. The cannabinoids then work to thicken bones, this could be potentially life-changing for those suffering from osteoporosis. Another study showed that when mice who were beginning to show signs of osteoarthritis when injected with pure CBD their condition stopped almost immediately. For those immobile sufferers with early stages of such diseases, using a desktop vaporizer might provide some much needed relief. We all know that our memories are going to fade and that our cognitive abilities at some point just won’t be what they used to be. But does it have to be like that? Recently scientists at the University of Bonn and The Hebrew University of Jerusalem through years of meticulous research have found that that may not always be the case. In their studies, the scientists gave mice of varying ages small doses of THC and afterward tested them on their learning capacities and memories. What they found was astonishing. The mice given placebos displayed normal age-dependent brain function while the cognition of the mice given the THC was just as good as the two month old control group. Of all the ways to consume marijuana, the most potent is via vaping. The regular use of a desktop vaporizer like the Arizer Extreme Q or something smaller like Crafty could make all the difference when it comes to your brain’s health. As mentioned throughout this article there is still a long way to go with cannabis research. This is because in many countries cannabis is still viewed as an addiction-forming drug and so is treated cautiously. Also, its classification in many countries (some countries still viewing it as a Class A on par with heroin or cocaine!) leads many scientists and researchers to resist experimenting with it. Hopefully with more liberal attitudes towards marijuana becoming more in vogue people will come to understand and reap the benefits of it. A quality desktop vaporizer could have significant benefits to your health and whether you realize it yet or not Future You will thank you for it.